At age 19, Alex was making sandwiches for $10 an hour. At age 20, Alex went all in on Real Estate Investing and did his first deal within 45 days. That particular deal was a wholesale which brought in $22,000 of profit. In Alex's first year of real estate investing, he generated a million dollars of profit from wholesaling and renovating real estate. Today, Alex is an active real estate investor, serial entrepreneur, and consultant helping people start & grow hyper-profitable real estate investing businesses through wholesaling & flipping real estate. He has personally built investment teams and has been able to consistently deliver ROI in any market for his clients. Alex's clients have been featured on A&E's Hit T.V. 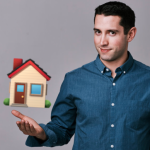 Show “Flip This House!” for multiple seasons, and have also made the Inc. 500 List of America's Fastest-Growing Private Companies several times. Alex's clients are some of the fastest-growing real estate investment companies in the United States and he has helped them gain dominance in their respective markets. 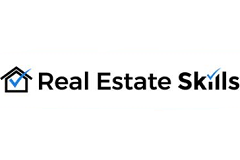 I help people start and grow hyper profitable real estate investing businesses.